Contextually relevant concept whereby specific geographic locations were constantly monitored for rainfall conditonsand variations in temperature. 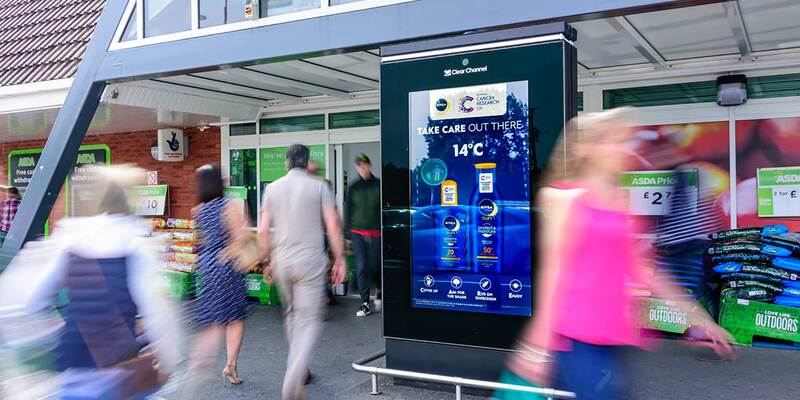 When pre-determined conditions were met, the content activated auotmaticallywithin the CMS and displayed on the assigned digital OOH panel. © voodooh Ltd. All rights reserved.